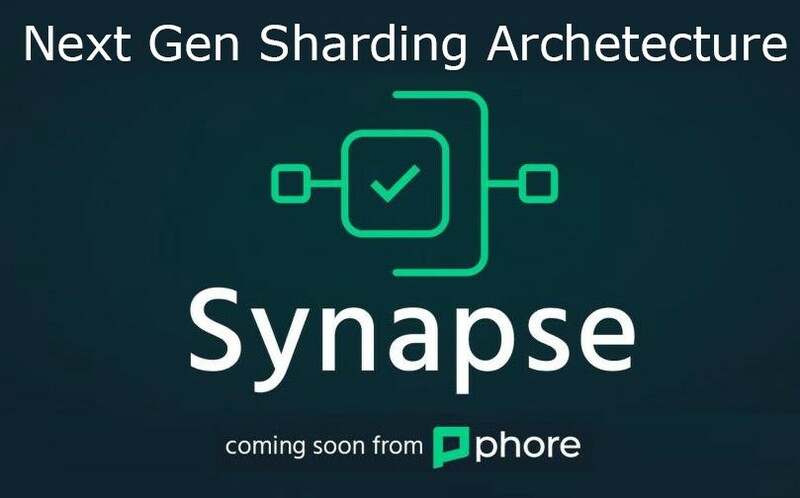 If you haven’t heard of Synapse, it is Phore’s new sharding architecture that is currently and actively in development. Synapse will enable major performance enhancements and upgrades, as well as serve as the platform for Phore’s Smart Contracts and other capabilities. What is “sharding”? In short, it’s a type of database partitioning that separates very large databases into smaller, faster, more easily managed parts called data shards. The Phore Synapse architecture will be borrowing many of the ideas that Ethereum Research has been coming up with for the future Ethereum 2.0 sharding architecture, but we are not forking their code. It’s primarily being written from scratch and, along with the Phore Marketplace, has been the main focus of our our development team. We are actually ahead of the Prysm Labs team (of Ethereum) in implementing the specifications. 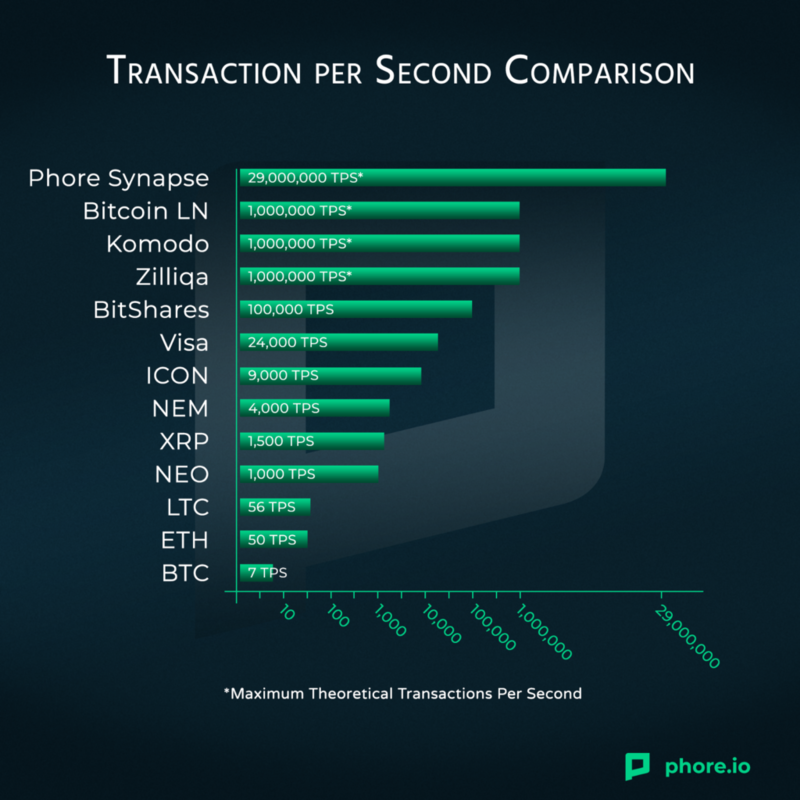 The Phore Synapse sharding architecture will give us orders of magnitude in higher scalability than we have now. Originally, the theoretical maximum TPS was around 70tx/s. With the Segwit implementation, this doubled to be around 140tx/s (which is already pretty fast compared to others)… However we expect the new architecture to have TPS into the hundreds of thousands and quite possibly, into the millions. If we make the assumption the main (beacon) chain is capable of 70tx/s this means theoretically the maximum TPS for our Synapse sharding architecture could be as high as 29,400,000 tx/s. Thats 29.4 Million Transactions Per Second! The Synapse platform represents a major step forward in Masternode technology. Masternodes have been implemented into many cryptocurrencies since DASH launched in 2014, but, until now, there has been little progress made with innovation. Phore stands to change that with this new architecture. Stay tuned! 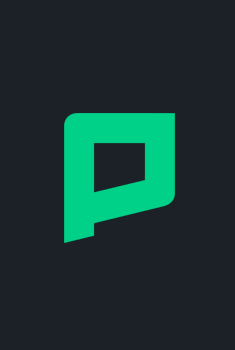 Visit phore.io to learn more about Phore Blockchain, and follow us on our various social channels that include Twitter, Telegram, Discord, Bitcointalk, Reddit and Facebook.